Supports abundant root formation and soil microbial activity. Derived from Corn Steep Liquor. Grower's Secret Soluble Corn Steep Powder, provides a well rounded NPK to support abundant root formation and soil microbial activity. Derived from : Corn Steep Liquor. Soluble Corn Steep Powder 7-6-4, 50 lbs. 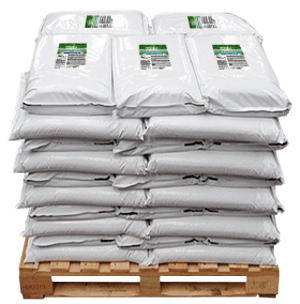 Soluble Corn Steep Powder 7-6-4, 44 x 50 lbs. Soluble Corn Steep Powder 7-6-4, 2200 lbs. What is GSCS 7-6-4 made from? Can it be mixed with other products? Yes! However, we have not been able to test all combinations of possible mix partners and recommend a small jar compatibility test using product in proportion to field use rates before wide scale use if you are not sure. Are there any GMO products used in making GSCS 7-6-4? What is the application rate for GSCS 7-6-4? 2lbs. to 20lbs. per acre when plants are actively growing or as needed according to your nutrient management program based on soil and tissue analysis. Can GSCS 7-6-4 be run through irrigation? Corn Steep Powder is virtually 100% water solubleas a stand alone product. Check for physical compatibility tests with other products beforewide scale use. How much of a shelf-life does GSCS 7-6-4 have? At least 2 years for unopened bags.Re-seal after each use. Use as part of an overall nutrient management program in organic and conventional production. Grower's Secret Soluble Corn Steep Powder supports abundant root formation and soil microbial activity.